Does this qualify as a well balanced breakfast? 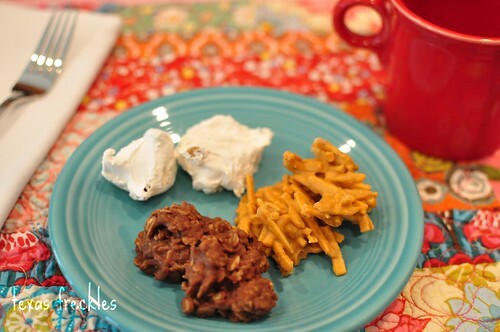 Egg whites (divinity), hash brown potatoes (butterscotch haystacks), and oatmeal (no-bake chocolate oatmeal cookies). 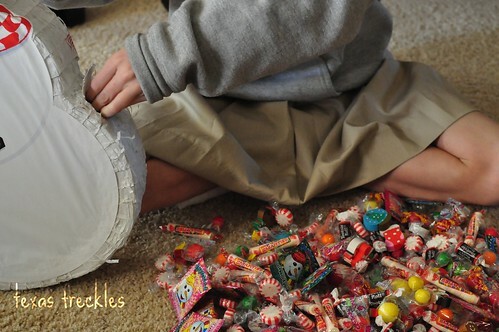 For the past few years, many of the girls on my mother's side gather for a candy making day before Christmas. Everyone brings supplies to make one or two of the their favorite treats and at the end of the day, we split it all up and go home with lots of yummy sweets. I made Oreo cookie balls. The recipe is so easy! It's only three ingredients: one package of Oreo cookies, one 8oz. package of cream cheese and chocolate for dipping (I used the chocolate almond bark). Put an entire package of Oreos in the food processor and whir them up. Transfer to a bowl and stir in the softened cream cheese. 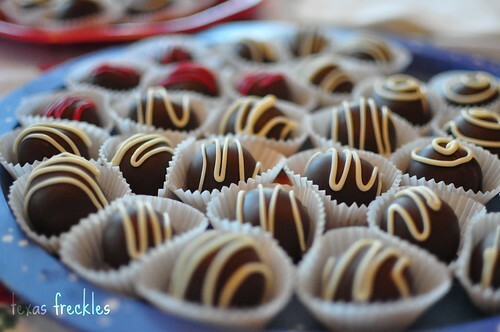 Roll into balls and dip in chocolate. I made two batches, one with regular (reduced fat) Oreos and one with peanut butter Oreos. Clean, beautiful dipping is an art form and I'm not well practiced. I thought I'd try pouring the chocolate over the formed balls, but that didn't work out. I ended up chilling the rolled balls in the freezer and dipping the chilled cookie balls using a bamboo skewer and a fork. That worked out much better. They are wonderful! On Friday, I was in charge of the class party at school and Shea, of course, requested a pinata. We had fun stuffing it with goodies and the kids had a blast taking turns swinging at it. 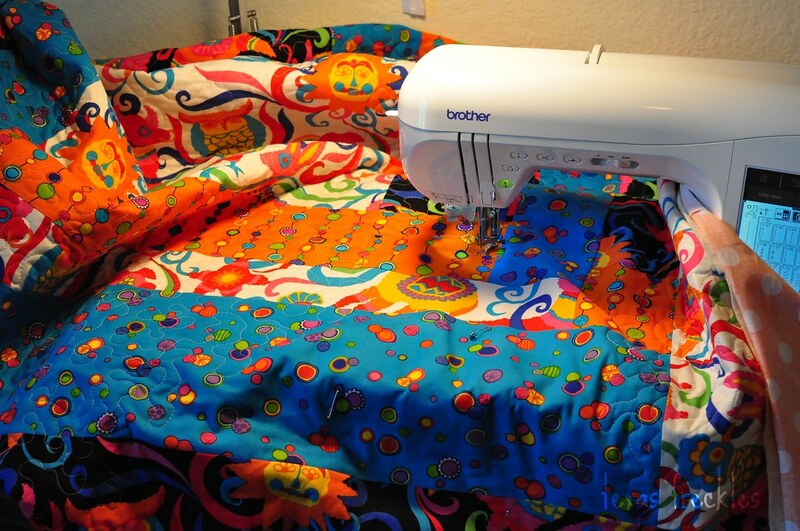 I finished quilting the pinata throw and am about half finished with the binding. I love being so excited about giving. I've got a couple of unexpected surprises up my sleeve for Shea and the thought of seeing her face on Christmas morning makes me giddy! 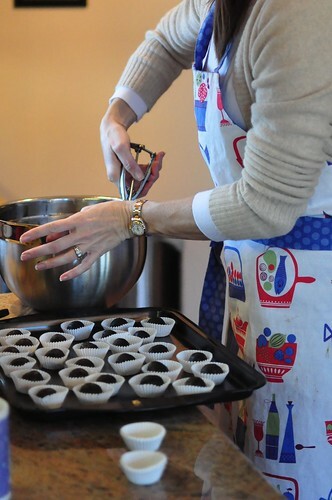 I must, must, must try those oreo cookie balls... they sound divine. the oreo balls sound like so much fun... they would probably go great with my chocolate covered pretzels!